Switched to FMOD sound system. Engine integration is done, it just needs testing. 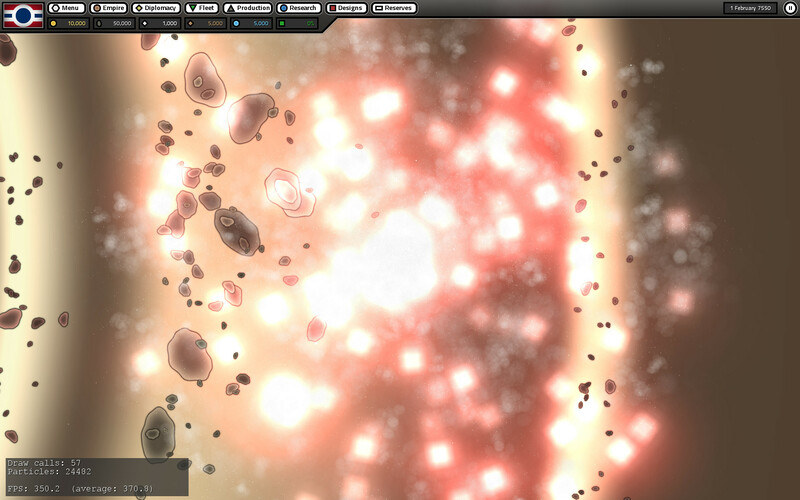 The particle system has been remade so that it is much faster. No more allocating/freeing memory for explosions and having too many individual draw calls. It can comfortably handle tens of thousands of particles per second now. 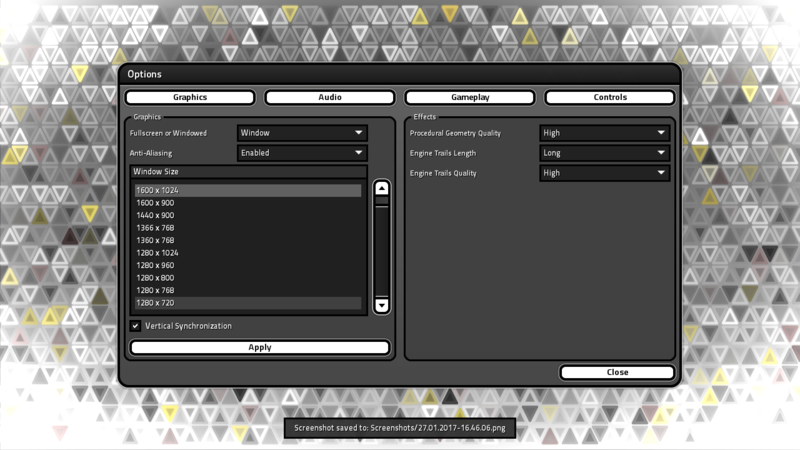 Throughout development, changing game settings like the screen size previously had to be done manually by editing a settings file. 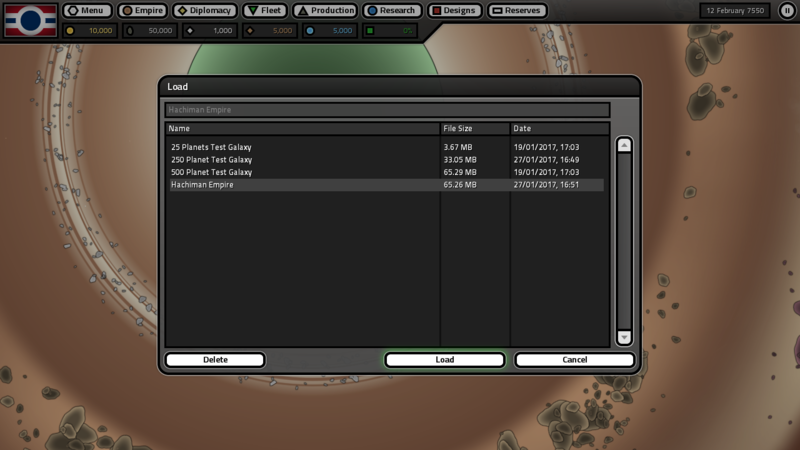 So its nice to finally have all of that properly tested and working from within the game now. This should be the start of new monthly development logs. There are still some loose ends to tie up from this months work, but hopefully in February I will be able to work on some of the more enjoyable gameplay stuff. ALRIGHT! Monthly updates! You have been hard at work and it is much appreciated. Indeed! Any chance for some gameplay videos, those are the best! Dan wrote: Indeed! Any chance for some gameplay videos, those are the best! I could maybe include a short video of the particles in action next time, once I have finished adding the new audio system for them. My birthday is on the 9th. How about a little something special for everyone! Glad to see you are still hard at work. I have the website saved to my hotbar so I don't forget about it and I check in every few weeks. I'm looking forward to the monthly updates you have planed, I think its a great idea. This game shows great promise and I think most of us are more then happy to wait for however long it takes you to make a quality product. After being bitten (time and again) by half finished, abandoned, or just plain vaporware indie (and AAA) games please take all the time you need. We'll be here when you're done, so keep on keeping on.